DJ Anthony Arone has been a part of FCW from the beginning; being a contributing partner to the companies success as in the wedding industry. As a proud member of the Saugus Fire Department, he knows what it means to put others first. Anthony has a magnetic personality that creates a positive synergy for all to endure. This is why client’s fall in love with him the second they sit down to talk weddings. For Anthony, it is more important that he gets to know his clients and their vision. 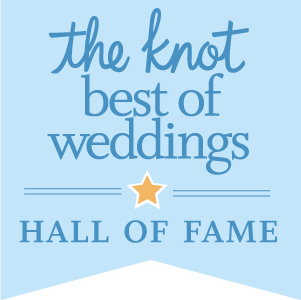 He is attentive to every detail, which allows him to provide his expert advice, bringing all of that and more to your wedding day! 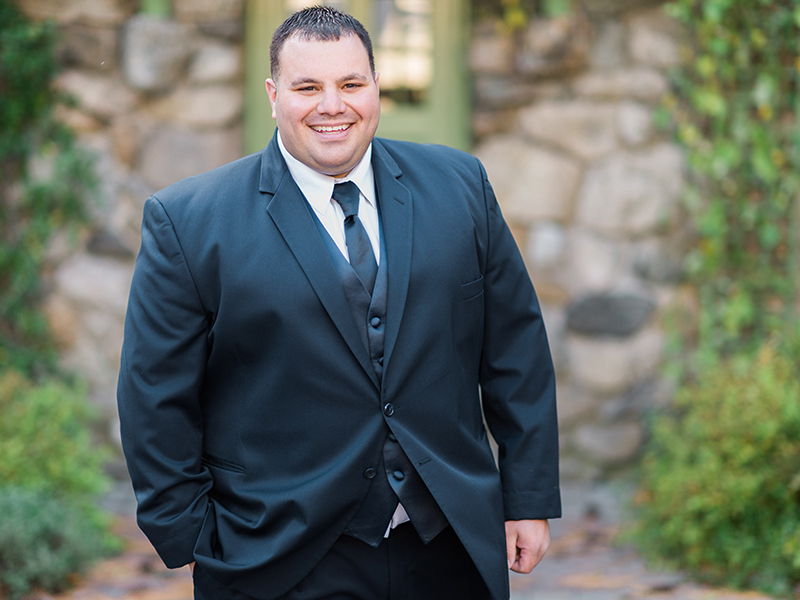 Anthony will make sure all of your formalities are carried out seamless in transition while working side by side with your vendors come wedding day; he may even officiate your wedding too! First Class Weddings is the absolute best! Within the first 5 minutes of meeting Anthony Arone my husband and I knew we were going with First Class Weddings for our DJ! I never stressed (not once!) about the DJ services and always felt like I was in good hands. I knew I could totally trust Anthony. We also booked the photo booth as well for our wedding through FCW. Any time I had a question throughout the process I had prompt responses to all my questions. The week of the wedding we had our last meeting with Anthony and he gave us great tips and assured us our day would go flawless... the day of it did! The music was on point from the start of the ceremony to the last song of the night! Anthony is a pro at reading the crowd and going off their energy! The guests were constantly on the dance floor! I had friends come up to me and said they didn't take any pictures because they were too busy dancing! Another friend had over 15,000 steps on his Fitbit just from dancing! Anthony totally ran the wedding and I wouldn't have it any other way! Mark was awesome at the photo booth! He was courteous to all our guests and allowed them to totally be themselves! I truly cannot recommend FCW enough. Anthony will not only be known to me as the DJ at my wedding but I can call him a true friend! Thank you for everything! My husband and I went with FCW for our wedding day and we couldn't be happier with their service. From first encounter they were professional, kind, easy going and seemed like they really knew and loved their business. Planning our services was so simple with their online portal; it breaks everything down for you and makes it an easy process to organize what you'd like for your wedding day. DJ Anthony Arone was amazing! We had a Sunday wedding and were a little worried about the crowd seeming dull but he kept the energy going and got everyone out on the dance floor and we had such a blast. He was so receptive and encouraging of any ideas I had to make my wedding unique to us. We also hired them for up lighting and it truly added such a nice touch to the mood and look of our day. If we could go back and choose them all over again we would. You will not be disappointed if you go with FCW, I can promise you that. They have it all! Five stars?! I wish I could give them a million stars!! Anthony Arone and the team at First Class Weddings were phenomenal. When my husband and I first started the wedding planning process, we knew that music and dancing were a top priority of ours. We decided to go with First Class Weddings after reading many positive reviews. And, boy, we were not disappointed! Leading up to the day, Anthony was incredibly helpful and knowledgeable. Anthony arrived early to make sure he had plenty of time to set-up and meet some of the other vendors (wedding coordinator, photographers, etc.) ahead of time. Our wedding party was large and high-energy. My husband and I had selected some entrance songs for our wedding party ahead of time, and we had chosen some rather unique ones! Anthony mixed the music in a way that really started off our reception with a bang! Our guests were up and dancing the rest of the night. He honored all of our requests and really paid attention to our guests. We’ve been to weddings in the past where DJs just play music that they think may work best for the day without truly understanding and taking into account the energy of the people at the wedding. Anthony’s enthusiasm and passion for his work shows, and he works incredibly hard to make your day the best! A DJ is so important to your wedding, and you will definitely not be regret choosing the First Class Weddings team! My husband and I just recently got married on 10-28-17 and we were lucky enough to have First Class Weddings as apart of our day. Anthony was our DJ and from the moment we met him we knew he would be amazing. As the reception had its hiccups as all weddings do Anthony walked me through the whole night and was constantly communicating what steps would be next. As the night continued and the next day came we couldn’t have received enough comments on how good the DJ was, so thanks a million Anthony!! We also got a last minute photobooth through FCW (like 2 weeks before the wedding last minute) and the FCW delivered. Overall we had an amazing experience with FCW and Anthony and I will absolutely be recommending them to everyone! First Class Weddings is hands down the way to go!!! From the moment I walked into their office, until after the last song played, these guys have been nothing short of fabulous!!! The comfort and skill they provide is like no other!! They had the place looking flawless, and the tunes right on point!! I can't say enough good about Josh, Anthony and Bobby! I am sure that anyone on this team would do an amazing job but the three of them made my wedding one for the books!!! They are the best out there! If you want everyone dancing and partying like it’s the last chance to ever dance again.... go with them!!! The lighting is hands down worth every cent!! It adds such charm and sparkle to your dream wedding! Can't rave about them enough, for all they did to make our wedding one to remember! Thanks guys! Nothing better than celebrating with your friends! Weddings may have a different meaning this year but the season is off to an incredible start! #sabatasoinlove #mycousintimmy #whereischelsea? !